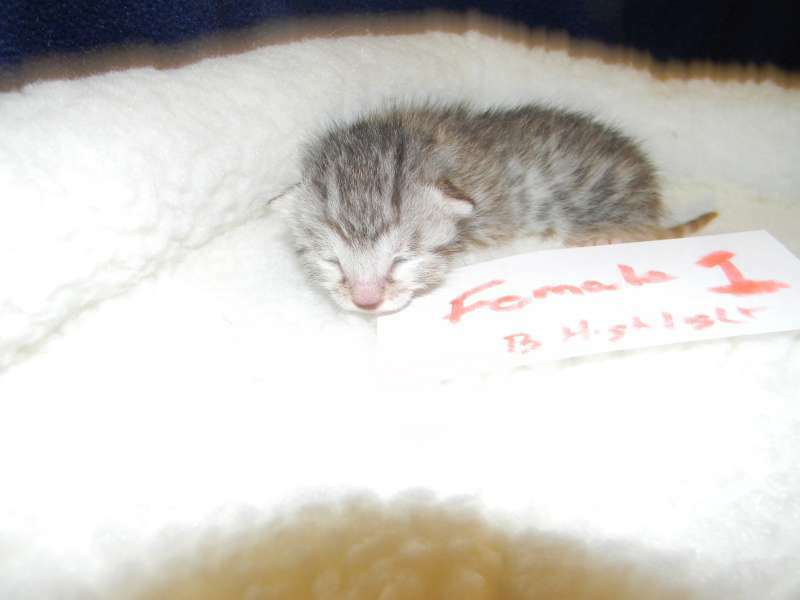 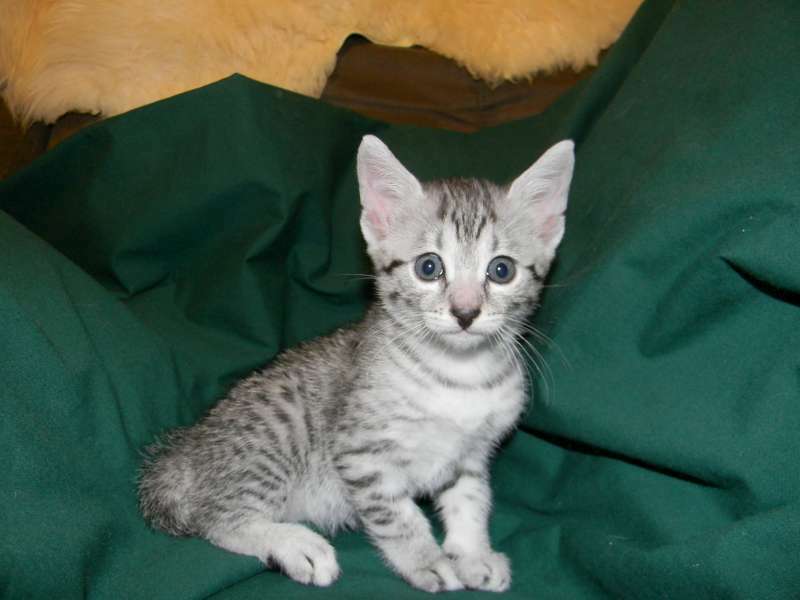 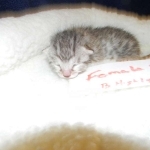 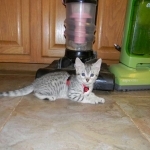 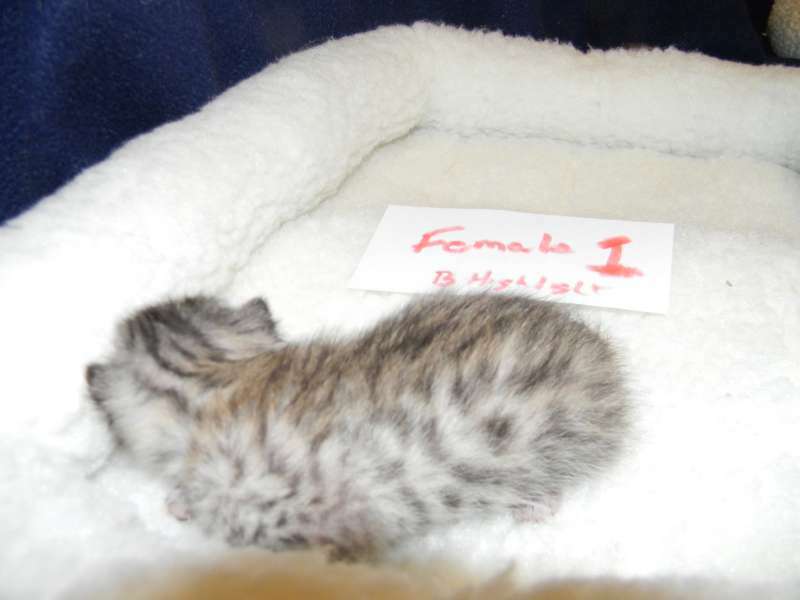 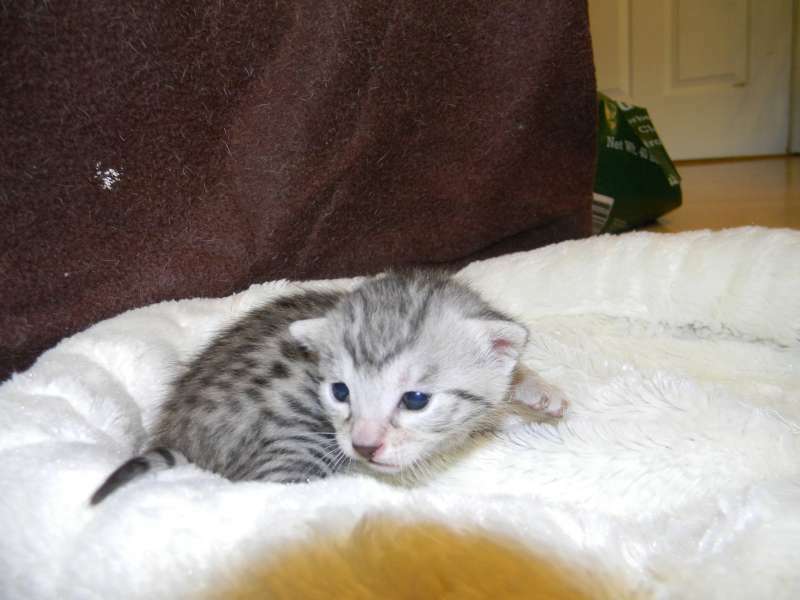 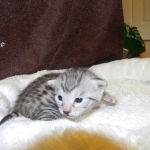 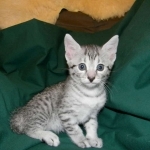 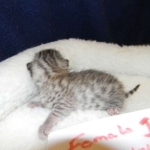 This precious little Mau girl is going home with Denise and her sister Nila. 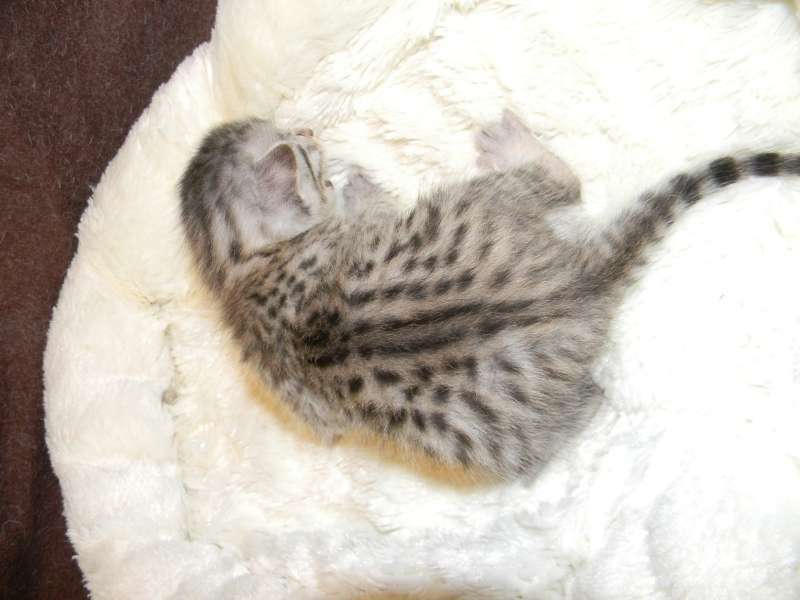 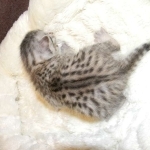 Beautifully spotted with just a hint of bronze tarnish she will have bold spots as an adult. 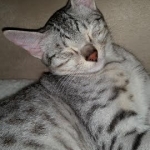 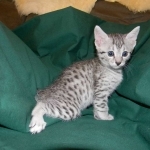 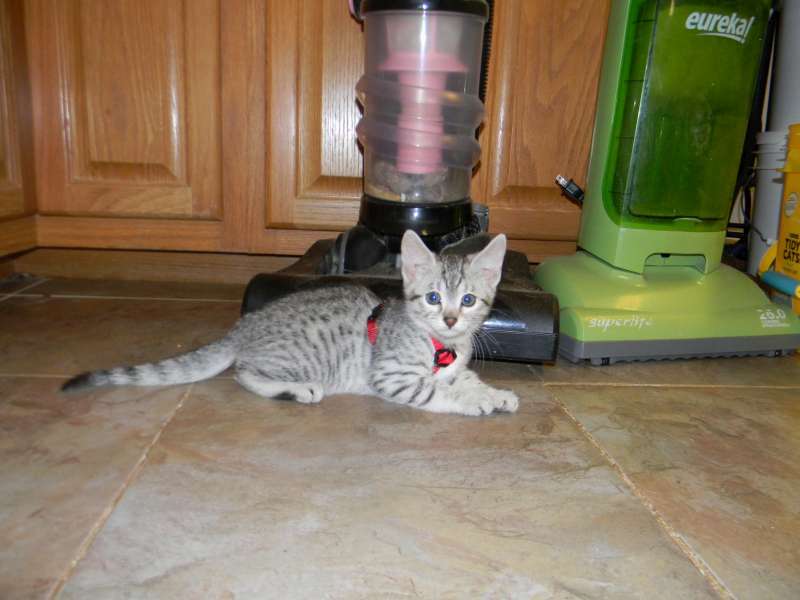 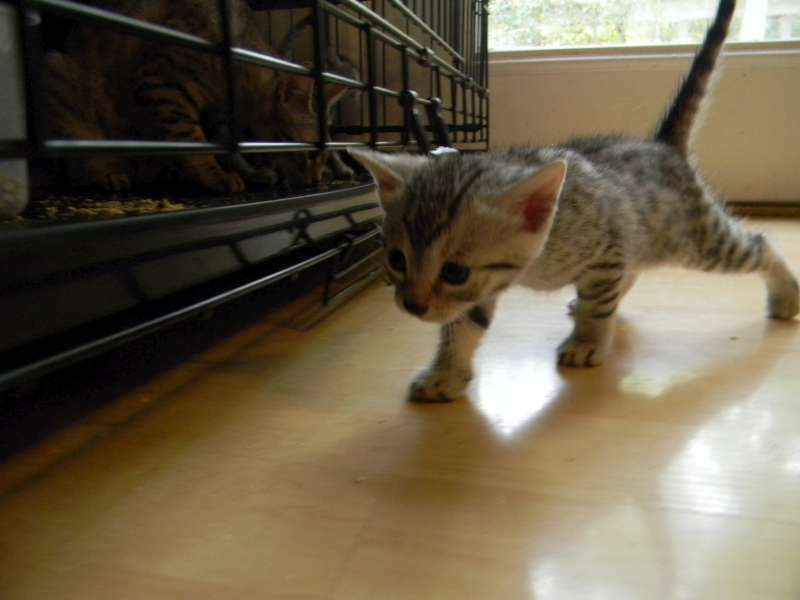 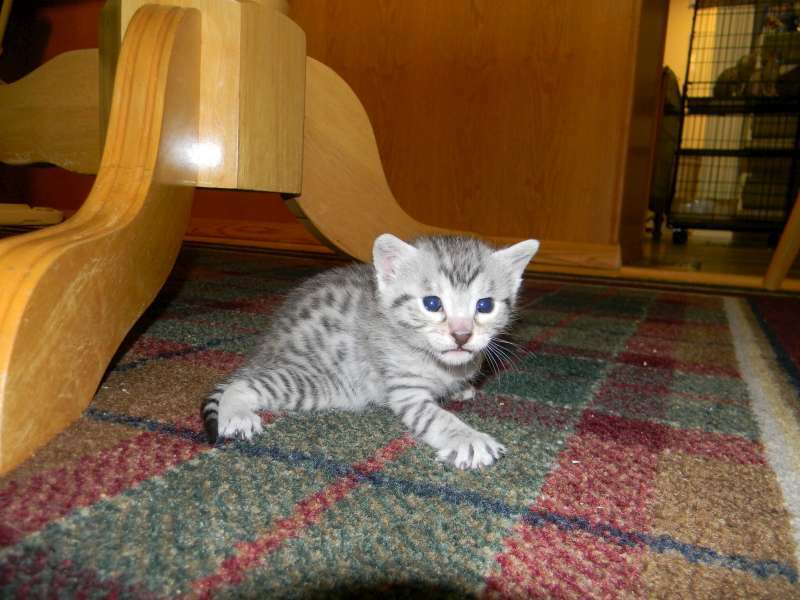 What a pretty little spotted mau girl. 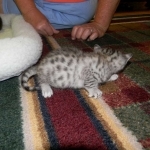 I love little mau faces! 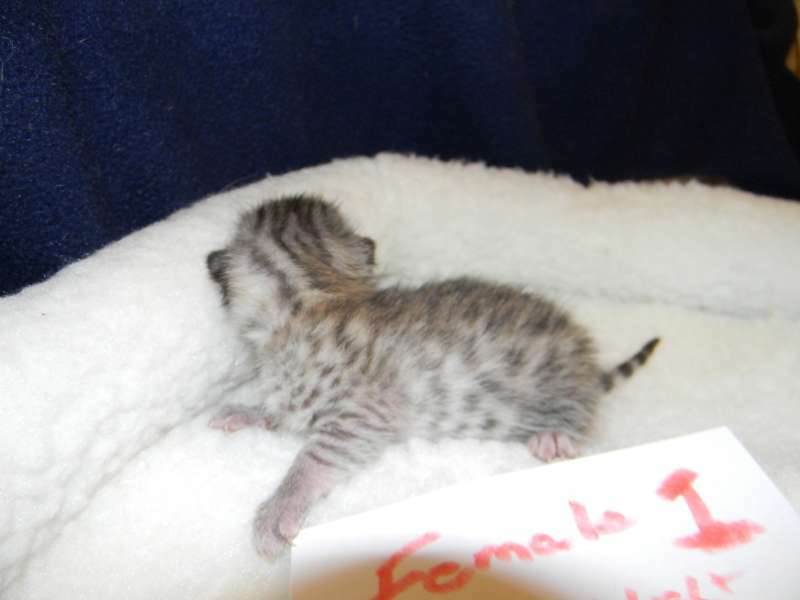 This girl will be a stunning adult. 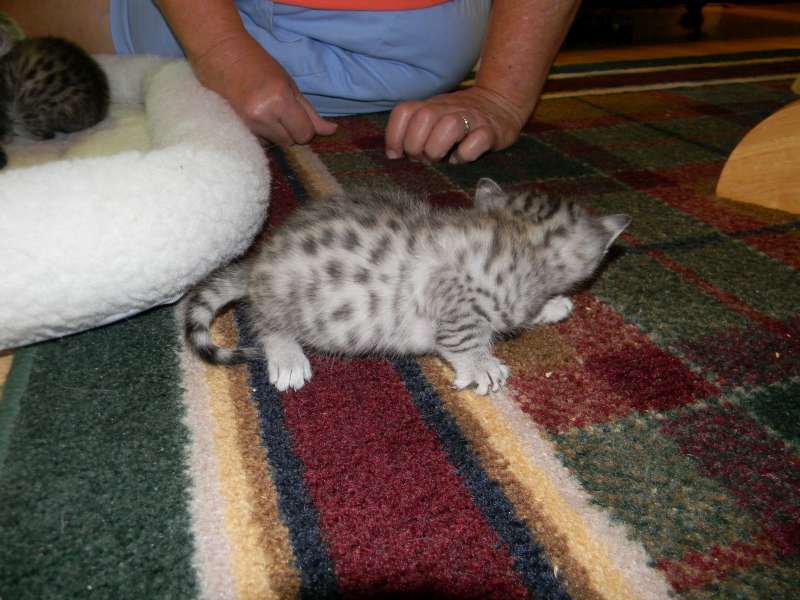 So many spots, so little time! 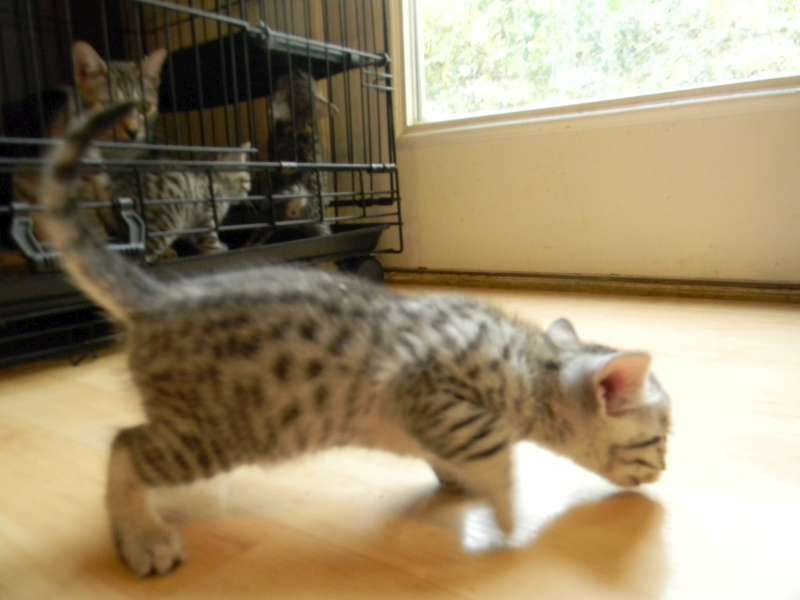 It's hard to hide with all these spots! 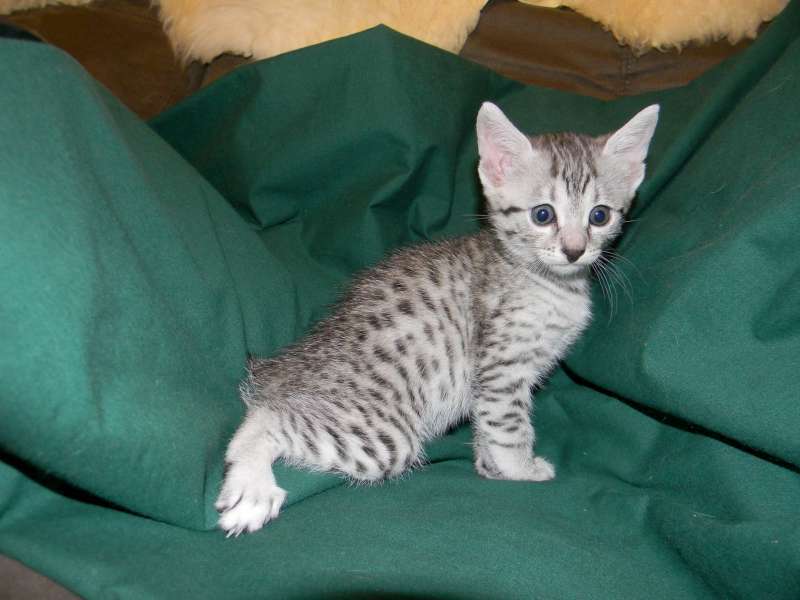 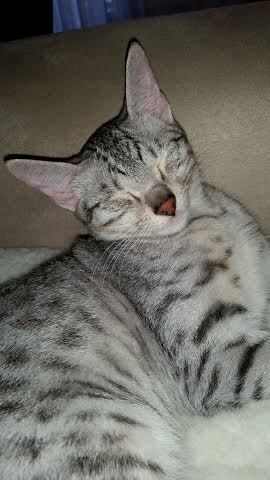 Great spots on this sweet mau. 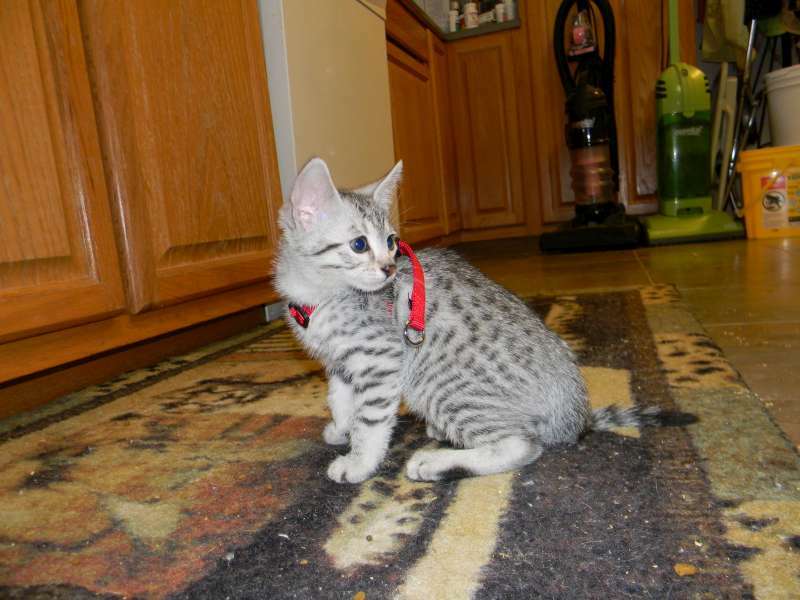 Sophie was not as happy about her harness as her sister Nila. 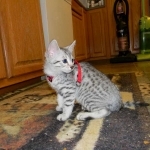 Sophie finally decided the harness was ok.